A lot of people see their hair as a reflection of their identity so it isn’t surprising that the global hair care products market is worth over $80 billion. What might surprise you is how much your hair can reveal about your health. Medical researchers from around the world have been just as fascinated with hair as some of the world’s top stylists. Trichology, the branch of dermatology that focuses on the study of the health of hair, has existed for more than 100 years. However, scientists are the professionals who have uncovered what hair really tells us about our overall health condition. What Do Your Hair Reveals About Your Health? Hair is a curious thing. According to the National Institutes of Health, there are more than 189,000 hair studies underway in 190 countries. These studies address a number of hair related issues. If you are experiencing a problem with your hair that goes beyond the occasional “bad hair day,” perhaps one of the following health issues is the reason. Dehydration: When hair looks dull, dry and is brittle, it is often a sign that you are not getting enough water. You could be dehydrated or close to it. In some cases, dull looking hair in women is also accompanied by hot flashes and night sweats so watch for those signs as well. The remedy is as simple as making sure you consume at least 2.7 liters a day from beverages and water-rich foods. Too much testosterone: Extra weight around the waistline and hair growth in places you never had hair before isn’t necessarily a sign of aging. If you notice dark facial hair suddenly appearing on your upper lip or hair thickening on your arms, thicker waist, it might be too much testosterone. Excess fat stores testosterone and stimulates hair follicles that cause hair growth that you would normally see in men. Women should only consume six added teaspoons of sugar per day and exercise regularly. It is important to keep in mind that the same signs such as unwanted hair growth, irregular periods can be a symptom of polycystic ovary syndrome. In this case, seek medical attention. Eating the wrong foods: Aging changes our hair; it can cause it to thin, become more coarse, dull looking and breakable, but if your hair has these features and you are relatively young, you need to take a closer look at your diet. And no matter your age, a healthy diet can help your hair. Nutrient-rich foods like fresh fruits and vegetables are good for your hair. Foods that are processed are not good. Now, don’t go overboard. If you eliminate fat completely from your diet, your hair can become weak and lackluster. Foods with omega 3s and monounsaturated fats are best, like fish and avocados. Stressed out: Both dermatologists and psychiatrists confirm that thinning hair can be brought on by major stress. This could include illness, the death of a loved one or a long period of deep depression. 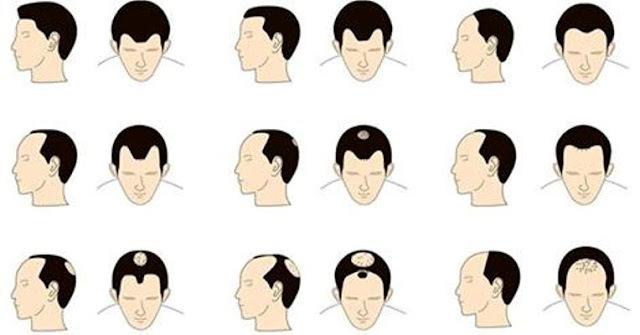 Normally the hair loss takes place over three to six months following the event or stressor. The good news is that the hair will grow back. Over the last 10 years, scientists have realized hair can tell us much more than we’ve ever imagined. A few years ago a joint Israeli-Canadian study examined stress hormone in hair samples and discovered that the hair was a significant predictor of heart attack.